The items included 116 million ringgit ($28.8 million) in cash in 26 different currencies, about 12,000 pieces of jewellery and hundreds of handbags as well as a large number of watches. 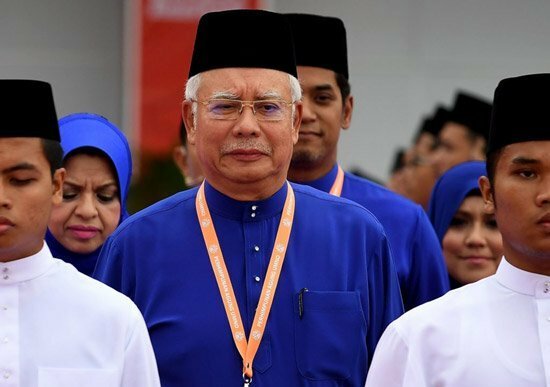 Kuala Lumpur: Items seized from six premises linked to ousted Malaysian leader Najib Razak, including cash, a vast stash of jewellery and luxury handbags, are worth up to $273 million, police said on Wednesday. “The total cost of all the items, the retail price, will be touching 910 (million) to 1.1 billion ringgit,” Amar Singh, the police’s head of commercial crime, told a press conference. That is equivalent to $225 million to $273 million. Allegations of massive corruption were a major factor behind the shock election loss of ex-premier Najib’s long-ruling coalition in elections last month to a reformist alliance headed by Mahathir Mohamad. Najib and his cronies were accused of plundering billions of dollars from sovereign wealth fund 1MDB and using it to buy everything from US real estate to artworks. Najib and the fund deny any wrongdoing. His luxury-loving wife Rosmah Mansor became a lighting rod for public anger due to her vast collection of handbags and jewels, and her reported love of overseas shopping trips.